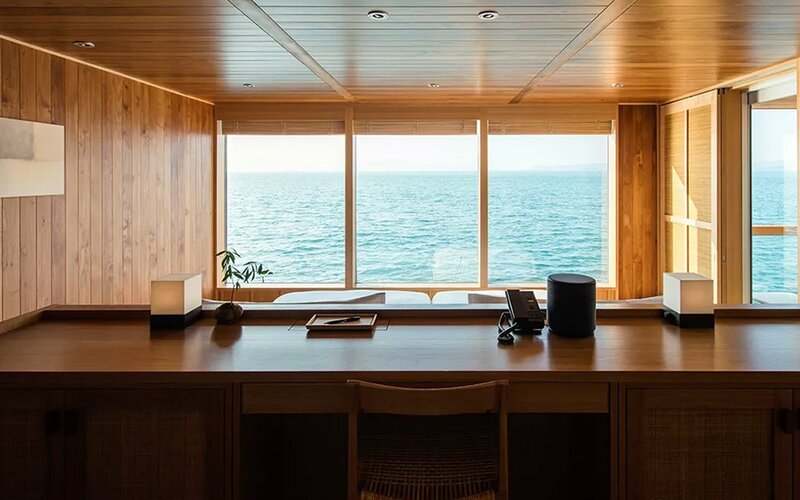 As the Northeast settles in for some sort of winter “bomb cyclone,” we could use a little tranquility. 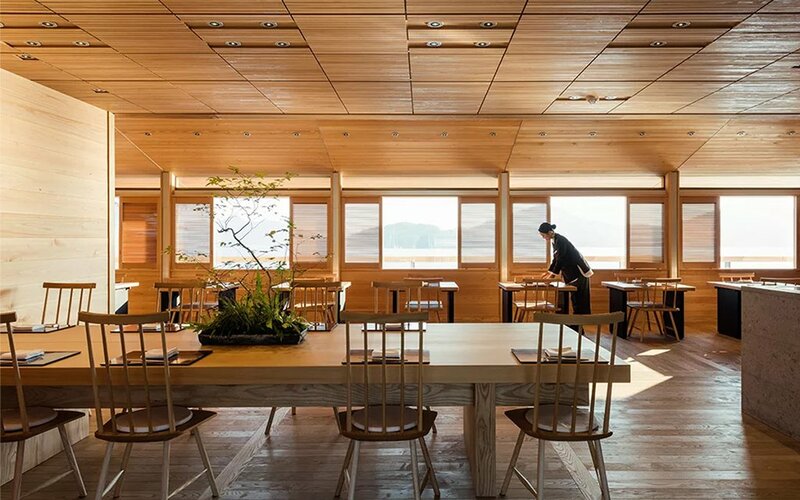 Enter guntû, a stunning, nineteen-room wooden hotel floating in Japan’s Seto Inland Sea. 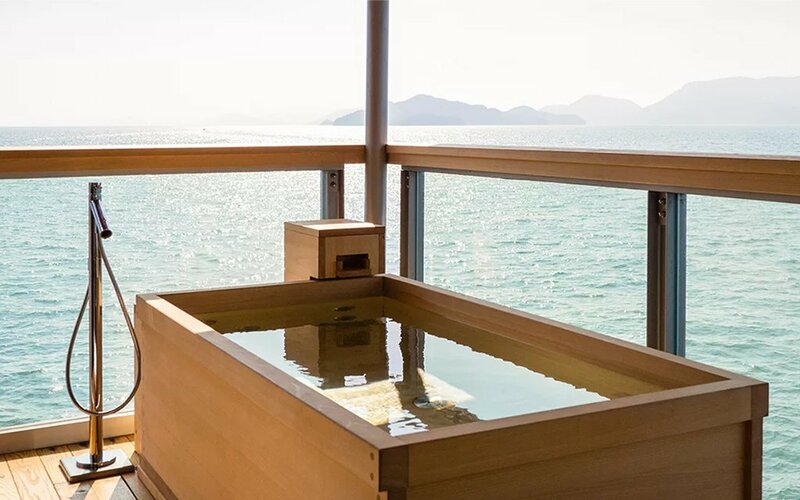 Boarding about an hour’s drive from Hiroshima, guntû is new kind of luxury cruise ship, featuring four types of suite rooms — each with terraces and open-air baths. 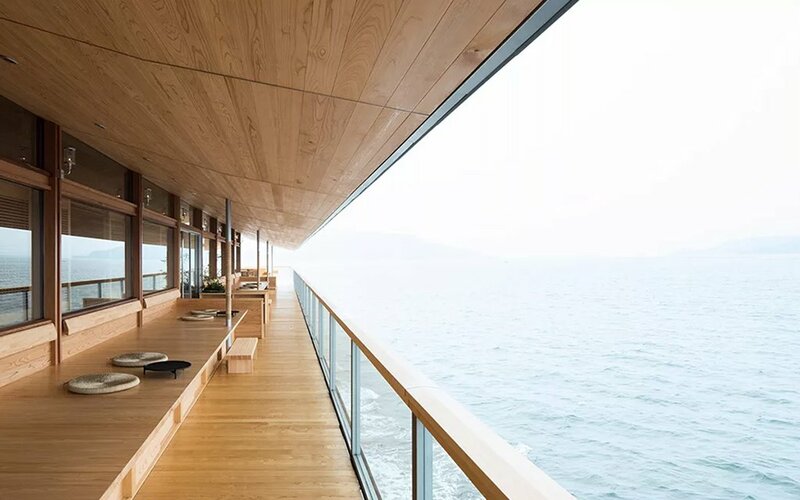 When you’re not enjoying panoramic views from your cabin, wander over to the ship’s spa, sauna, gym or treatment room. 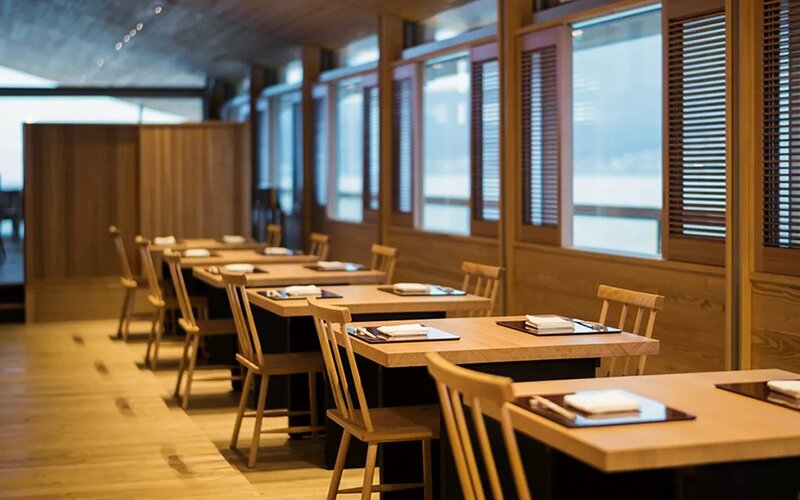 Or “change into a light cotton yukata robe and enjoy dried fish from local fishing ports while tipping back a cup of sake” at the ship’s onboard restaurant, overseen by Kenzo Sato from Tokyo’s Shigeyoshi, a two-star Michelin honoree. 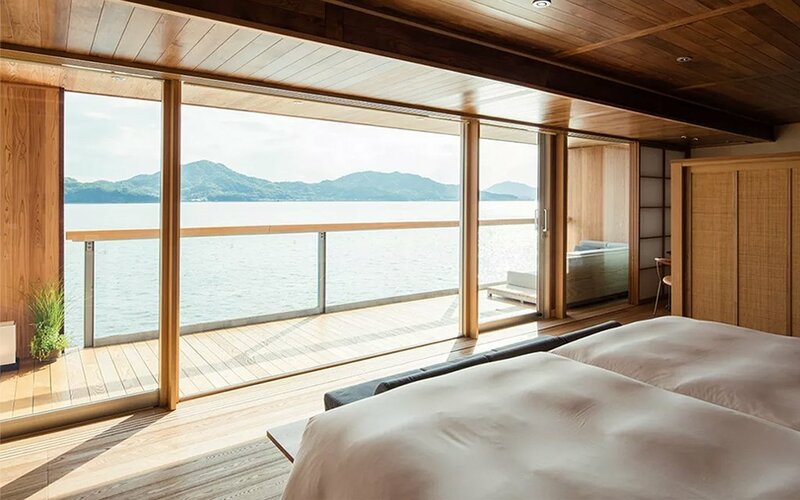 Off-boat, take walks on the surrounding islands, spend a day fishing, or even charter a separate “moon-viewing” boat —with “Noh chanting” available upon request (it’s sort of like Japanese opera, we hear). 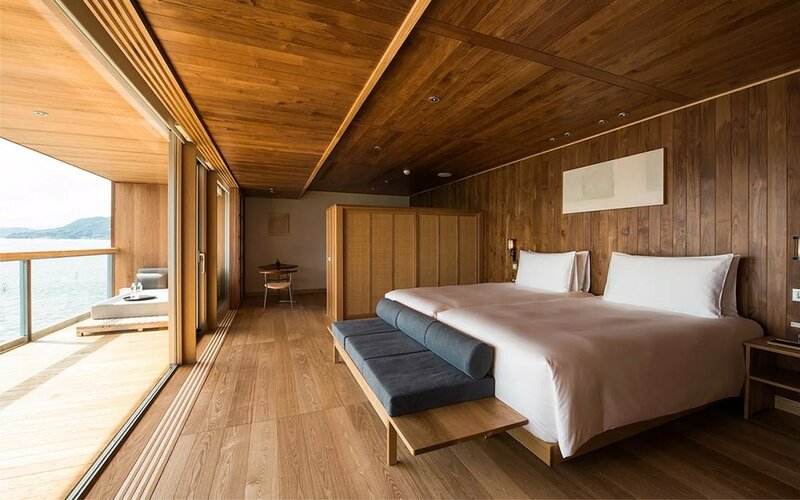 Launched in October, guntû is now available for booking.